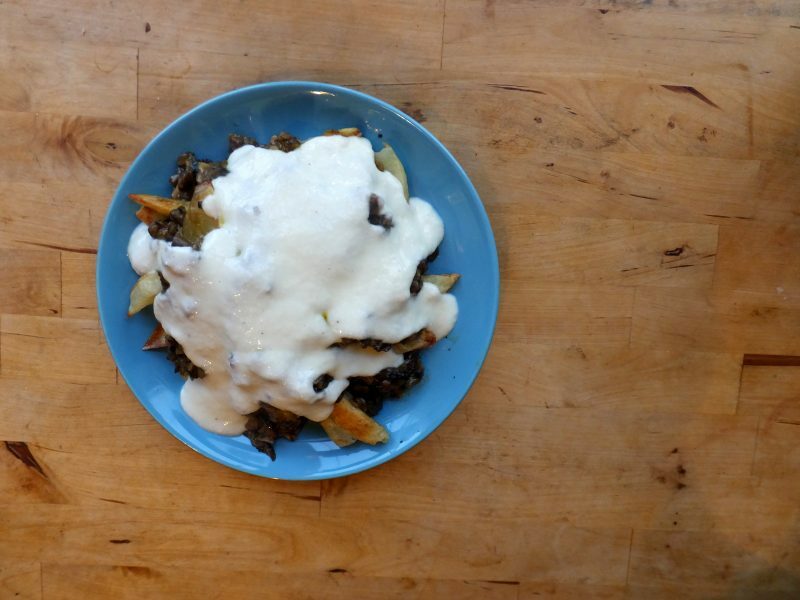 Disco fries are like my father: cheesy and found in New Jersey. A bastardized version of Poutine, these french fries are smothered in beef gravy and mozzarella cheese. The best disco fries are made at the Versailles Diner, a 24/7 restaurant in Fairfield. Depending on the time of day, you can find old people eating soup, hoodlums swearing too loudly in public, and me if I’m visiting home. On your next culinary-inspired vacation, head to Northern New Jersey to experience the refinement and class that is Versailles. Then maybe go to France. 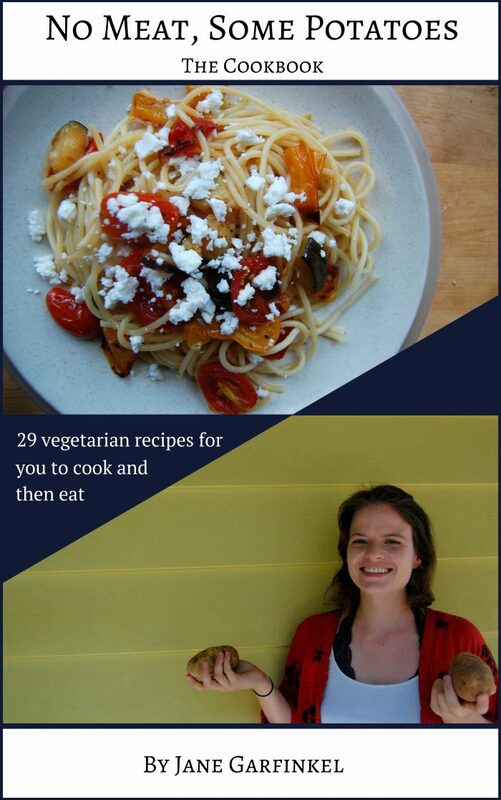 There are certain things that cannot and should not be made vegetarian. I have a strong feeling that Disco Fries fall under this category. Still, I wanted to challenge myself by attempting to recreate this transcendental, perfect dish. 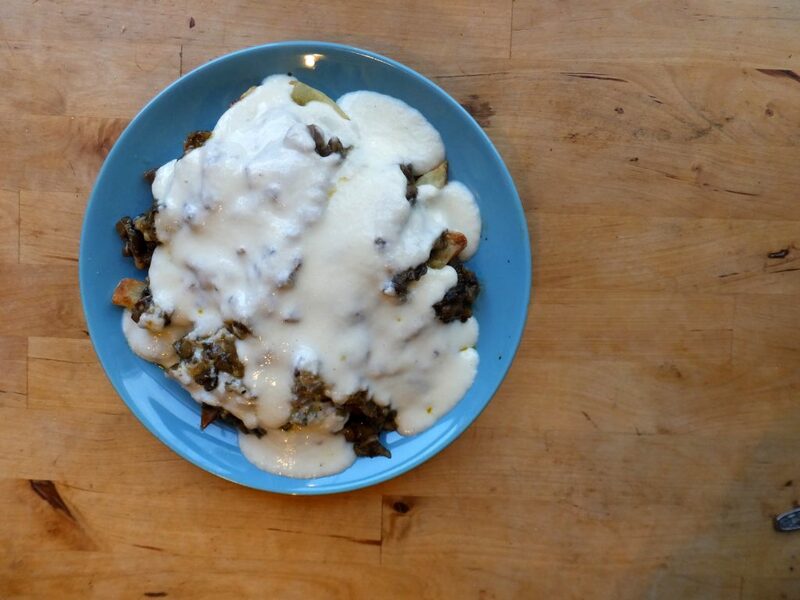 The main issue, obviously, is the gravy. 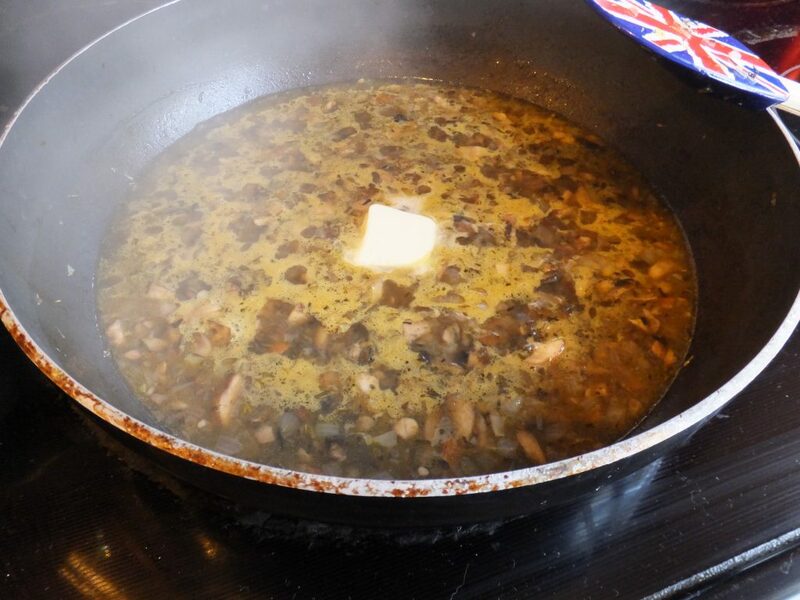 French fries are simple, cheese is straightforward, but I have yet to find a vegetarian gravy that either looks or tastes similar to real gravy. The folks over at Food Network would probably use the word umami to describe what most vegetarian gravy lacks, but I would use the word deliciousness. It’s just not the same. Despite my pessimism, I was excited to honor the best state east of Pennsylvania. 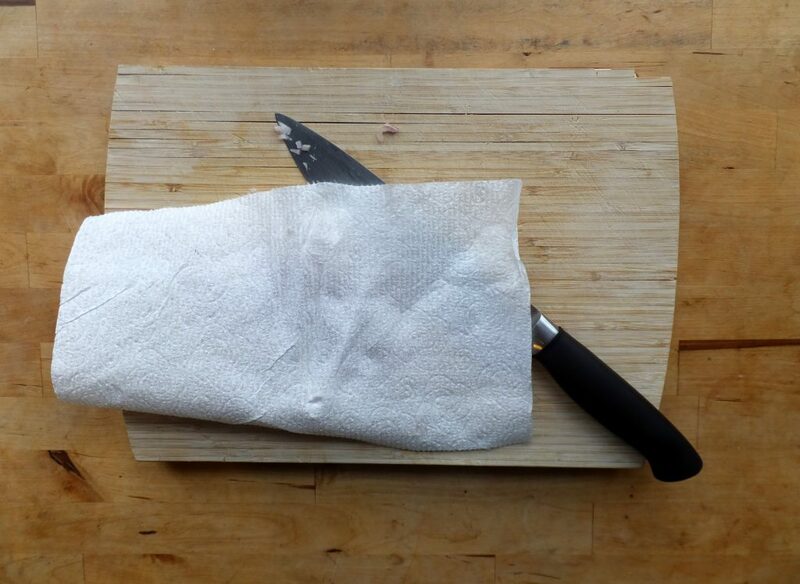 Peel and slice your potatoes. They should be as similar in width as possible so they cook evenly. 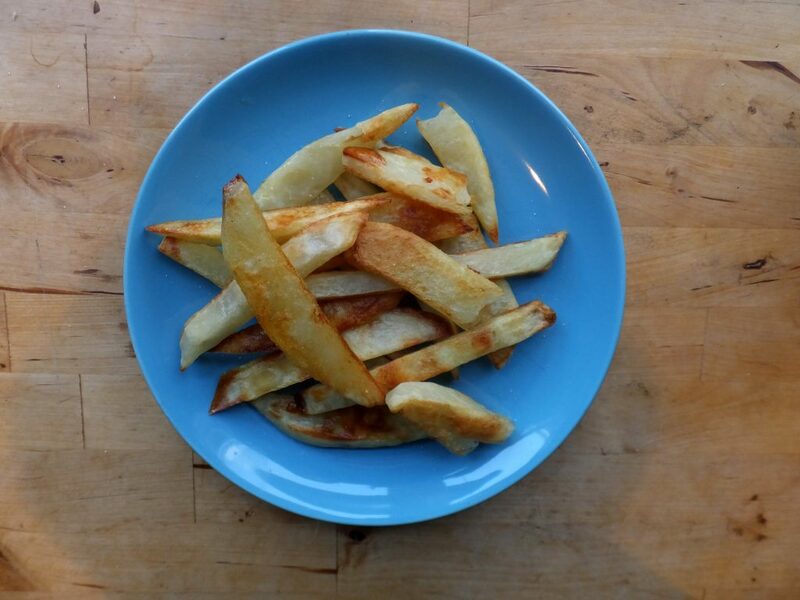 This is, of course, a challenge because potatoes are oval-ish. 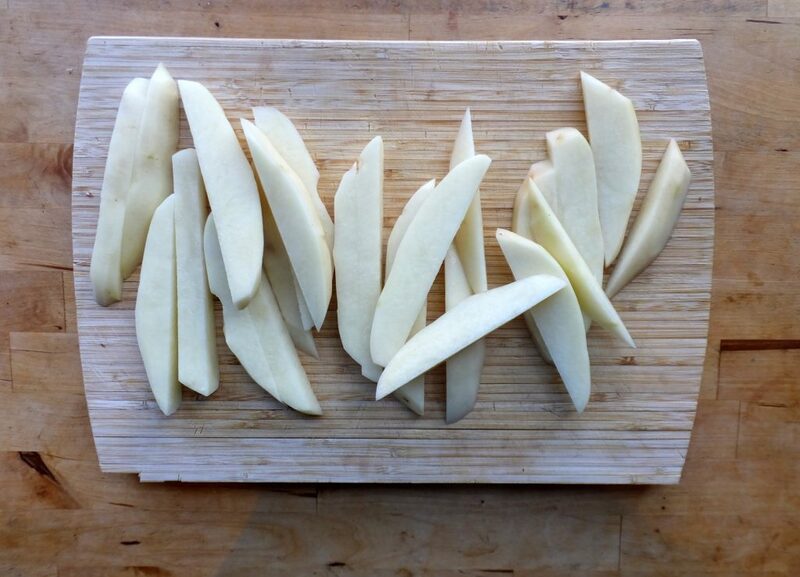 If you do a bad job of slicing them, you can always take some fries out of the oven earlier than others. 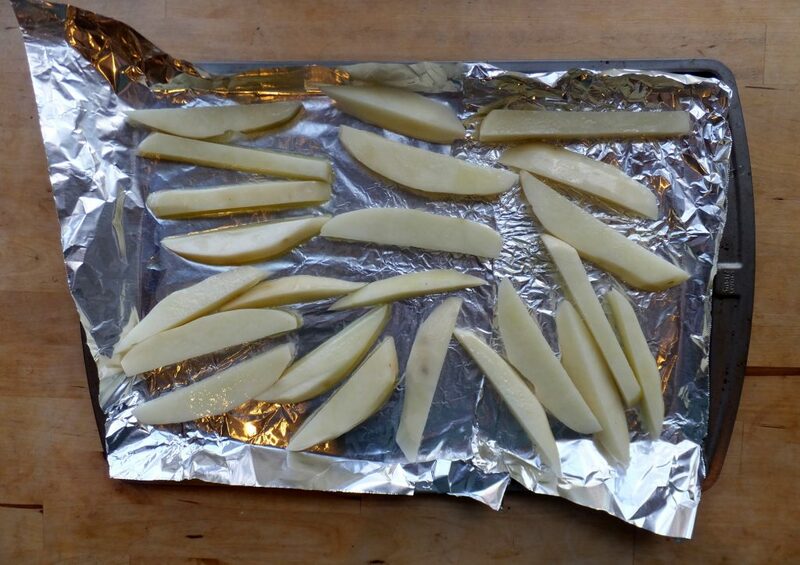 Toss your potato pieces in oil and place on a tray. Once the oven is preheated, stick them in. While the fries bake, start your gravy. 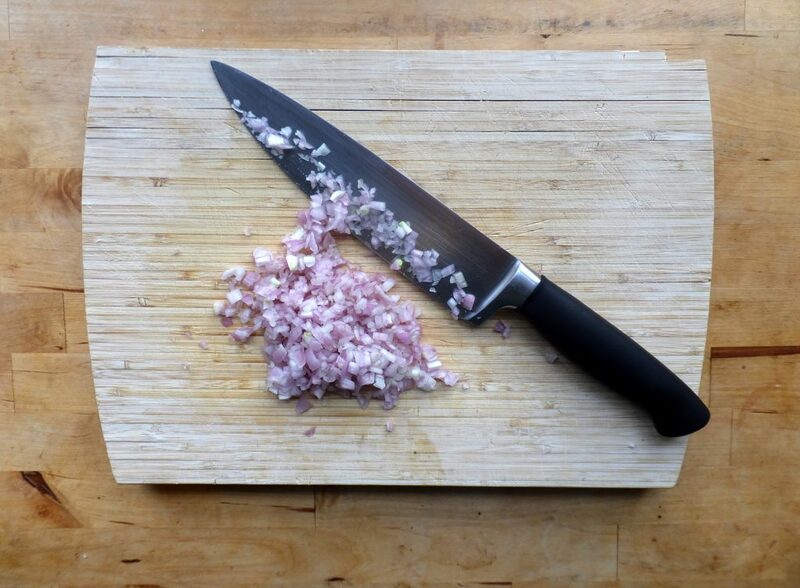 I chopped up one shallot but you can also use onion. This was the most painful onion/shallot experience I have ever had! So many tears were shed. I had to cover the shallot with towel as I chopped and take refuge in my living room every so often to cry it out. 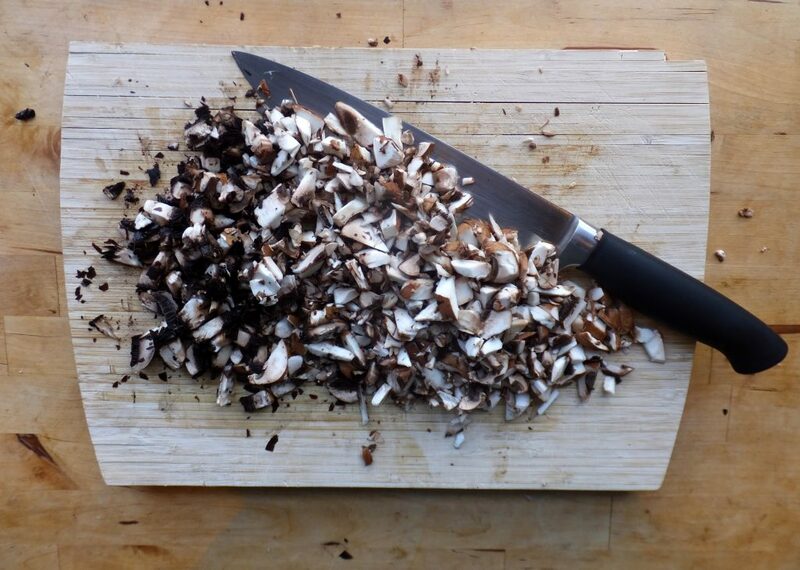 For the mushrooms I used one portabello and 5-6 baby bellas. According to the internet, baby bellas are the same as crimini, which I guess are just your typical mushrooms. But baby bellas irk me! What a dumb feminine name for food. They also don’t cook up the same way as the generic Giant mushrooms do. Screw baby bellas and the cute organic market where I purchased them! 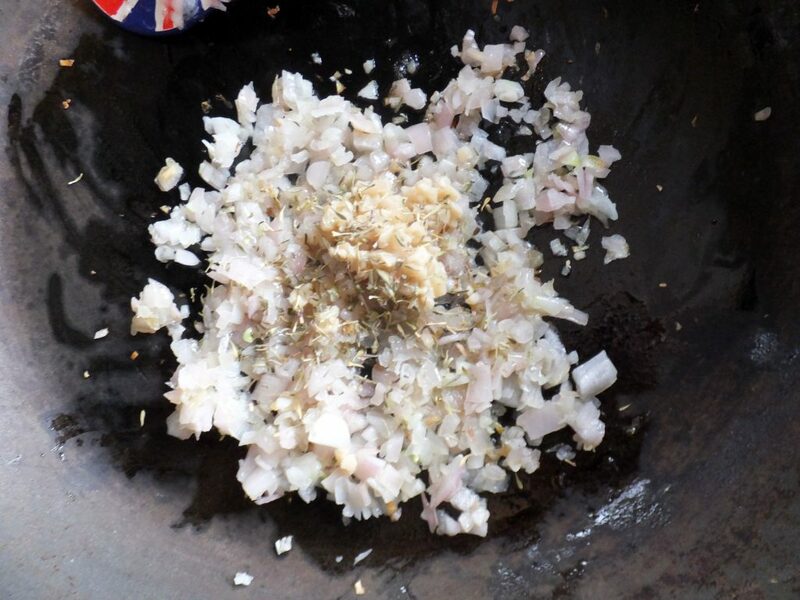 Into the saute pan goes olive oil, the devilish shallot, garlic, and thyme. 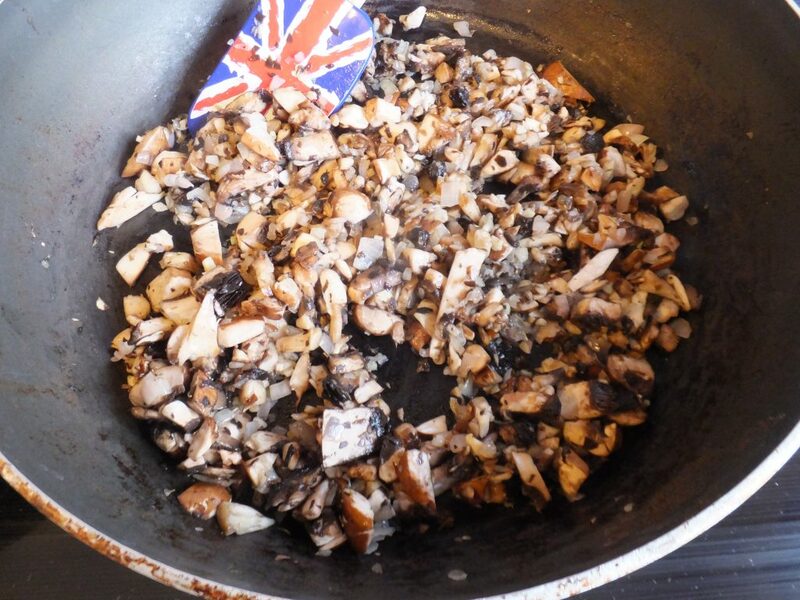 Cook this down until the shallots are transparent and have surrendered all tear-producing poison. 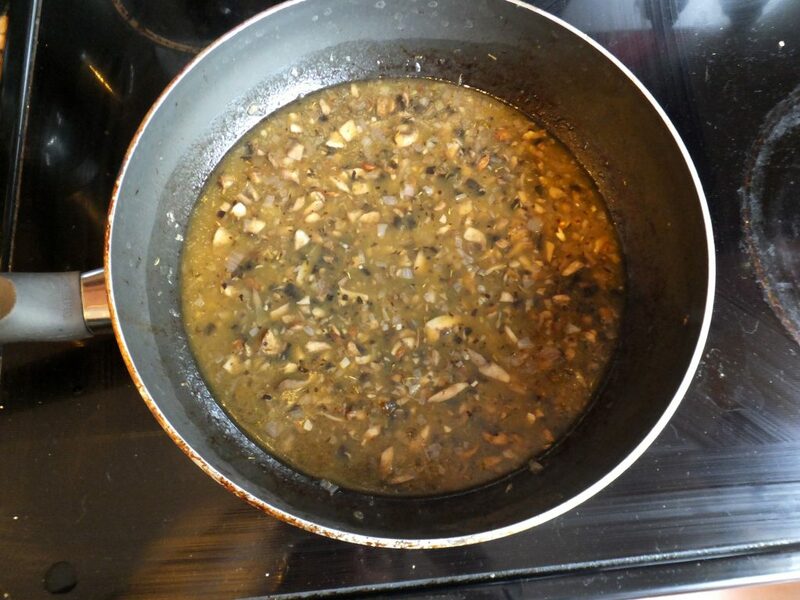 Add in the mushrooms and cook them until all their liquid has evaporated. Pour in about three cups of vegetable broth. Add in a tablespoon of butter. To thicken the sauce I made a roux. 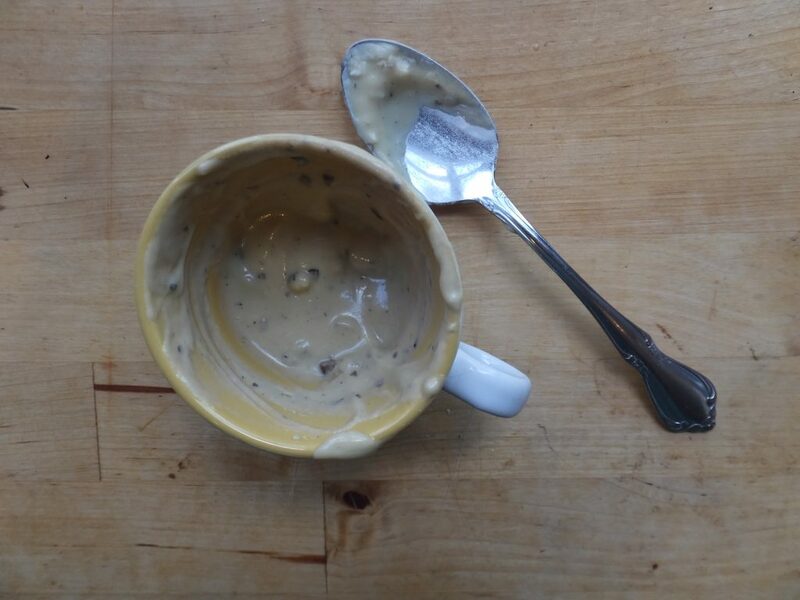 I ladled some of the broth into this tea cup and then aggressively stirred in a tablespoon of flour. 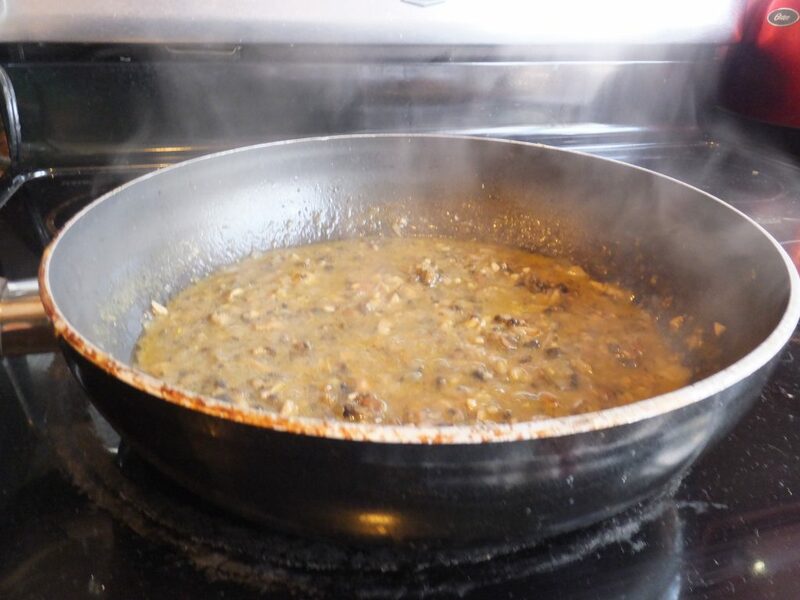 Stir in the roux and let the sauce thicken. Taste the gravy and season with salt and pepper. Now onto the cheese. I think that Versailles just melts a ton of mozzarella over top but I decided to switch things up and make a cheese sauce because I’ve never made it before. 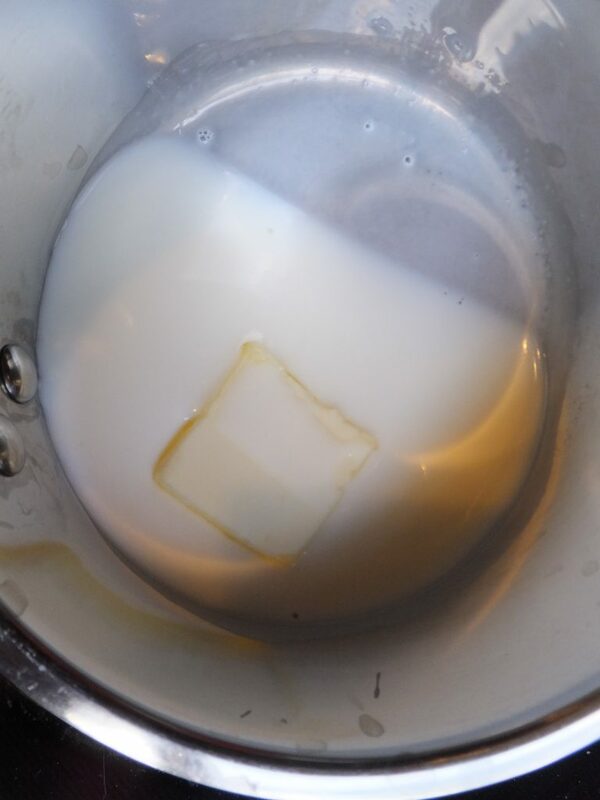 Heat up some milk and add in a tablespoon of butter. I added in a cup of cheese and stirred until it reached a nice drizzly consistency. At this point I started eating the cheese sauce straight. I highly recommend not doing that because I felt ill very soon afterwards. My fries were ready after about a half hour. After struggling to separate them from the foil I seasoned with salt and pepper. 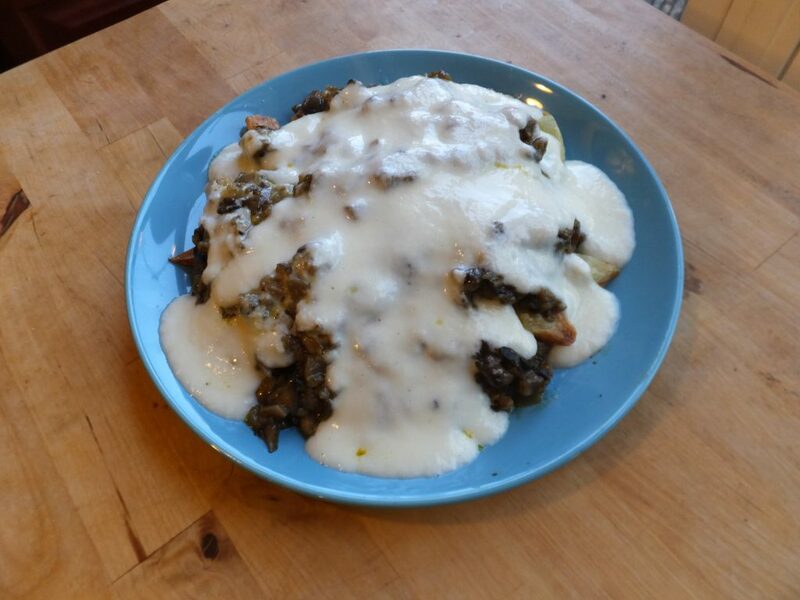 I poured the gravy and cheese over top. I wouldn’t say this looks pretty, and it definitely doesn’t look like what I think of as Disco Fries, one of the most beautiful sights in the world. Despite the amount of cheese sauce I consumed, I tried a bite of the finished product. As expected, this isn’t exactly what I want. It’s definitely not a complete flop. The fries are great and all of the flavors do work well together. I actually think simply melting mozzarella on top would have tasted better. Cheese is perfect so why did I mess with it? The biggest issue, as expected, is that the gravy is not as rich and savory as I want. It’s missing that heart-clogging taste I’ve come to expect. Honestly if this was served as Versailles Diner lives would be lost. 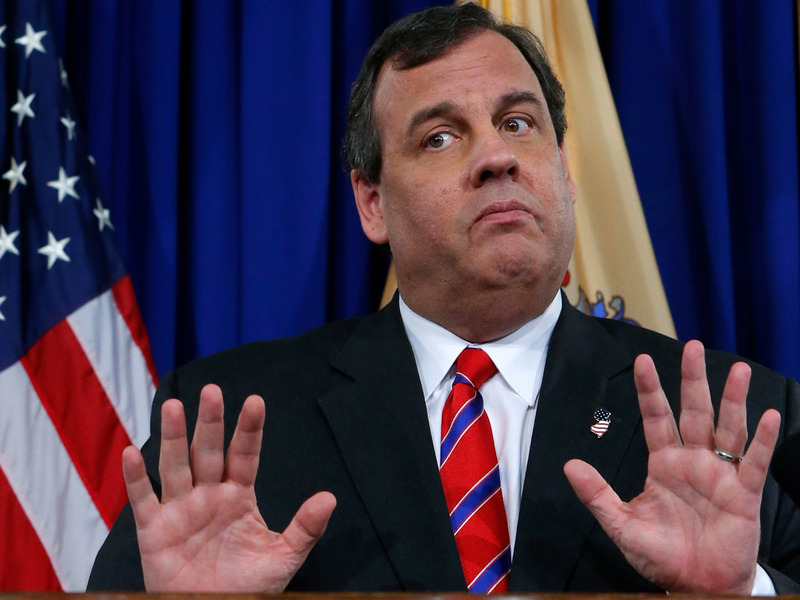 Can you imagine Chris Christie eating mushroom gravy? I like to think about it before falling asleep at night. 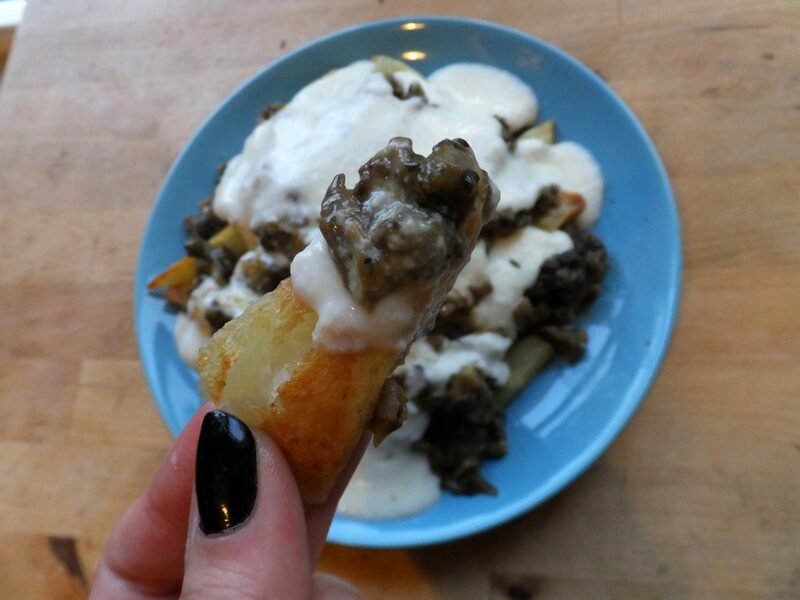 While I won’t be making vegetarian Disco Fries again soon, if anyone has a really great vegetarian gravy recipe, please let me know! I have hope one day in the future vegetarians will be able to enjoy Disco Fries properly. Unfortunately my experience is you cannot make a sauce from mutz. Or probably any cheese you can describe as stringy. The stringy parts separate from the liquid and you can’t get it smooth. Try it again with white cheddar. The cheese sauce was actually alright, but I used full-fat mozzarella which I know the Garfinkels fear. 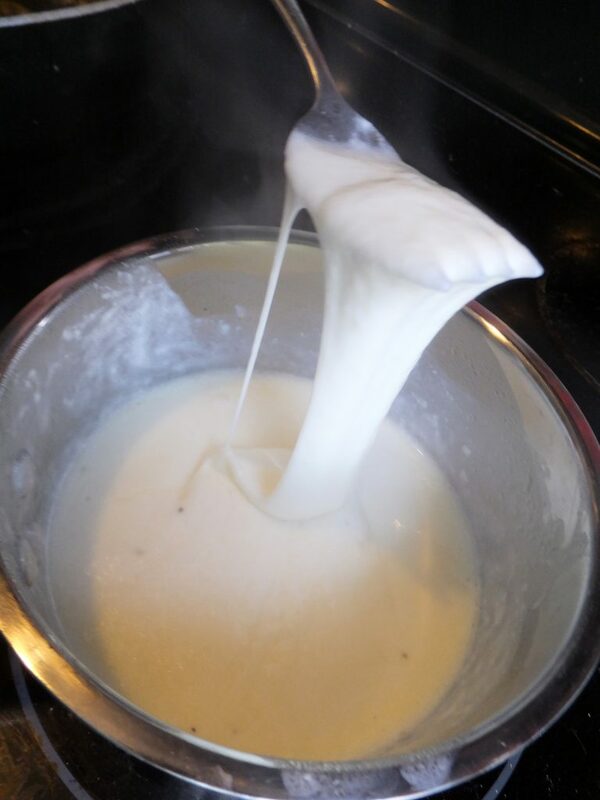 I plan on making cheese sauce again with cheddar though, for straight-up cheese fries or mac-n-cheese or bowl of cheese sauce.